Angelic is the word that has most often been used to describe the silvery, pure, sweet tone of Esther Heideman's voice. A winner of the Metropolitan Opera National Council Auditions and the Licia Albanese Competition, Esther Heideman continues to impress audiences around the world with her dynamic stage presence. Ms. Heideman has even been described as having Stradivarius vocal cords. Esther took her first voice lesson when she was eighteen and already attending college. Her passion for performing emerged quickly, and she has dedicated her life to it ever since. In 2001, she made her Metropolitan Opera debut singing Pamina in Mozart’s Die Zauberflöte. That performance was immediately followed by her debut with the New York Philharmonic and her European debut with the Prague Radio Symphony. Ms. Heideman's career began with the Minnesota Orchestra, where she sang in more than 20 concerts. She moved to NYC from MN, and the very next day received word she was scheduled to make her Carnegie Hall debut, singing Handel’s Messiah. Since this time, she has performed with major orchestras throughout the world such as the US Naval Academy, Baltimore Symphony, Pittsburgh Symphony, St. Louis Symphony, Atlanta Symphony, Minnesota Orchestra, St. Paul Chamber Orchestra, Philadelphia Pops, Daejeon Philharmonic Orchestra, Beijing New Music Ensemble, Chicago Symphony Orchestra, Aspen Music Festival, Virginia Symphony Orchestra, Jacksonville Symphony, National Philharmonic, Buffalo Philharmonic, Milwaukee Symphony, Cincinnati Symphony, Seattle Symphony, Boston Baroque, Amsterdam Symphony Orchestra, Orquestra Simfònica del Gran Teatre del Liceu, the U.S. Naval Academy, and Rotterdam Philharmonic Orchestra. In addition to performing the staples of traditional concert repertoire, such as Beethoven's Symphony #9, Mahler's Symphony #4, Mozart's c- minor Mass, Handel's Messiah and Orff's Carmina Burana, Esther Heideman has featured prominently in the premieres of some of today's most respected contemporary composers. These have included the role of Jenny Lind in Libby Larsen’s opera Barnum’s Bird, Sister Angelica in The Three Hermits by Stephen Paulus, Madame V in Casanova by Daniel Schnyder, The Revelation of St. John by Daniel Schnyder and Deus Passus by Wolfgang Rihm. 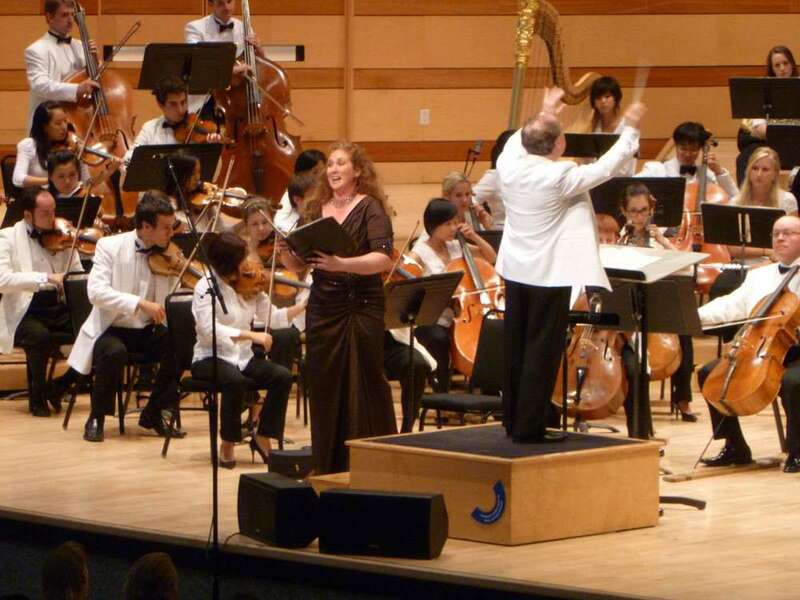 Ms. Heideman also performs regularly with the Aspen Contemporary Ensemble, and has sung works by Szymanowski, Schoenberg, Essa-Pekka Salonen, Perrera, Druckman, Delage, and Albert, to name a few. Upcoming performances include Lucas Foss’ Time Cycle with the Aspen Music Festival, Songs of the Season/Christmas with Choral Arts Society (at Kennedy Center), and Beethoven’s Symphony #9 with the National Philharmonic. Esther is also featured on a live recording of Evan’s Ireland’s Poet Patriots from the National Cathedral in Washington, D.C. to be released in October 2018. When not performing, she enjoys teaching lessons and master classes and sharing her knowledge and experience with young performers.